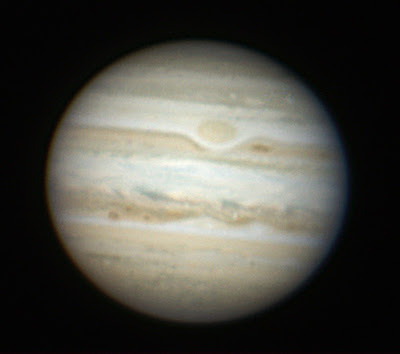 Here's Jupiter from Friday night, taken under the best conditions so far this year. It turned out pretty cool! Click it for the full-size image.